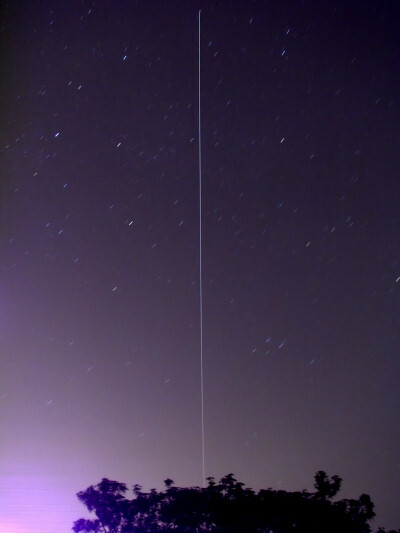 The ATV-4 still eludes me, but here’s an even better ISS pass from yesterday – almost straight from west to east. This is an 128-second exposure with an experimental noise filter that actually works quite well and even leaves the fainter star trails intact. I think this might be my best ISS capture of the year so far!